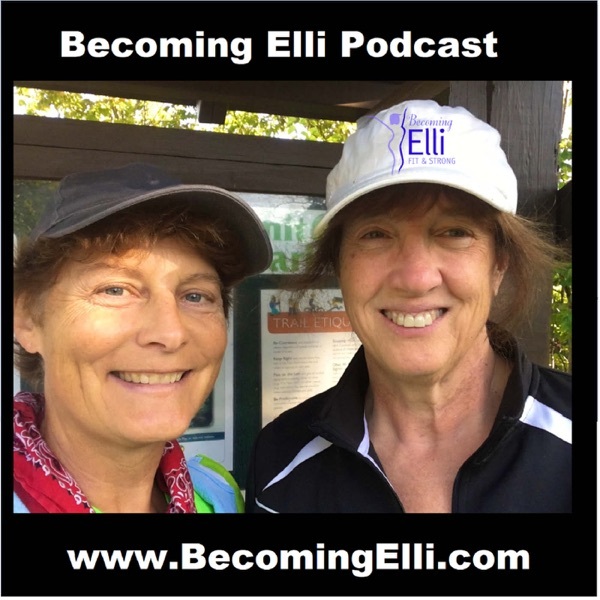 In Episode #17 of the Becoming Elli Podcast, Chris and Jill look for answers when they interview a series of experts on their opinions about the use of the elliptical for women over 50. Sara Renard has her Group Fitness Instructor Certification from AFAA (the Aerobics and Fitness Association of America), Personal Trainer certification from NETA (National Exercise Trainers Association.) She is responsible for all of the group fitness instructors at LifeCenter Plus. Jacob Weatherbee is a fitness specialist who has a Bachelor’s Degree in Exercise Science from the University of Akron and has a certification in Exercise Physiology through American College of Sports Medicine. Maria Stadelman is a personal trainer at Summa Wellness Center and has a bachelor degree from Ohio University in Exercise Physiology. She has been an athlete her whole life. Andrew Oravec is a personal trainer, exercise specialist, and group fitness instructor and has a Master’s Degree in Exercise Physiology from University of Akron. He is a Certified Exercise Physiologist by the American College of Sports Medicine. Suzanne LaChance is a fitness specialist, personal trainer and group exercise instructor. She is also a certified Zumba instructor and is Certified by the American College of Sports Medicine as a Exercise Physiologist. He holds a Master's Degree in Exercise Physiology from the University of Akron. Jennifer Stefanik is President of Central Wellness and has her Bachelor’s and Master’s Degree in Exercise Physiology from Kent State University. She is a Certified Group Exercise Instructor and Certified Health Coach through American Council on Exercise. Mark Feakes is the Director at LifeStyles North at Cleveland Clinic Akron General. He has a Bachelor of Science in Athletic Training from the University of Akron and has many years of experience as a certified personal trainer as well.